Our love affair with crispy and yummy waffles has been 100 years old and over 75% of Americans still enjoy waffles as one of the most popular and world-renowned breakfasts in America. In short, we all love to have crispy and warm waffles with loved ones for breakfast to brighten our day quickly. With the intense scent of melted butter and vanilla, waffles are definitely one of the most favorite breakfast and brunch staples for millions of households. Do you want to make waffles yourself and enjoy it every day? You should invest in the best Belgian waffle maker to make this breakfast quickly and easily whenever you need. We have checked lots of waffle makers and handpicked the best 10 models available in the market on the basis of ease of cleaning and use, price and, obviously, their ability to make golden and crisp regular or Belgian waffles which remain fluffy and moist inside. Also see our list for best panini press reviews. The professional rotating design of Presto Ceramic FlipSide Belgian Waffle Maker bakes thick and dense Belgian waffles within minutes. You can flip it 180 degrees to spread batter evenly to prepare delicious waffles which are tender inside and crispy outside. 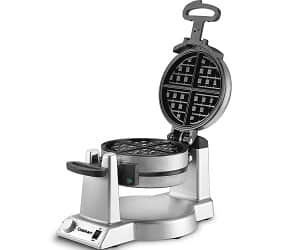 It has nonstick extra-thick grid to make waffles of 7-inch diameter with four cutting sections. When waffles are finished, you will be notified with digital display signals and countdown timer. 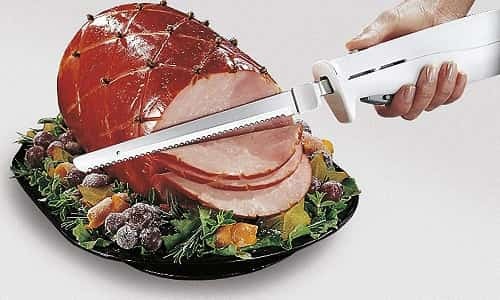 It is made of heavy-duty brushed stainless steel. Enjoy fluffy and crispy Belgian waffles every morning and make delicious vanilla waffle and even add fruits, nuts, or dessert toppings to the batter with no mess by using Hamilton Beach Flip Belgian Waffle Maker. This machine bakes fluffy, golden brown waffles and gives complete control over flipping so you can get café-worthy results at your home. Make your waffles the way you like – darker or lighter in minutes. This waffle maker is designed for most complex waffle and thickest waffle. It also has Belgian-style grids along with deep pockets so you can have a lot of toppings. It also has removable and nonstick grids that are easy to clean up and dishwasher safe. Cook two 1” extra deep, delicious and thick Belgian waffles at the same time with Cuisinart WAF-F20 double Belgian waffle maker and adjust browning control. Add fruit or syrup and enjoy the royal breakfast or dessert at home. 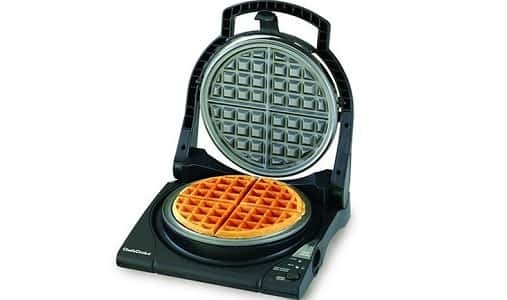 It has easy to handle rotary flips waffle to 180 degrees for even cooking on bottom and top. The browning control knob has six settings to bake both waffles from fluffy and light to crisp and brown. 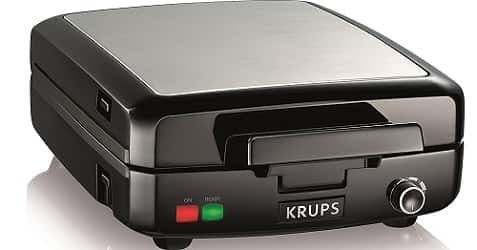 With this adjustable temperature Belgian waffle maker from KRUPS, you can bake up to 4 tasty Belgian waffles at once. It has 5 easy to adjust browning levels – i.e. from light to dark, so it can accommodate your preferences with ease. It has green and red indicator lights as well as ‘ready’ audible beep to know when this waffle maker is ready to bake, turned on, and when it has finished baking, without any guesswork. You can bake waffles with deep pockets, ideal for filling with jam, powdered sugar, maple syrup, or even fresh fruits or cream cheese. 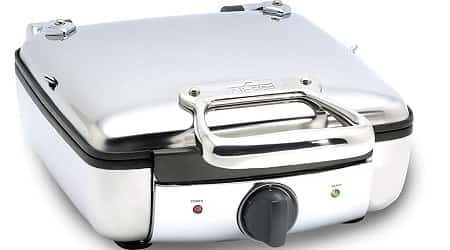 This stainless steel device has die-cast removable waffle plates which are nonstick for easy food release and cleanup. Have your waffles for dinner, lunch, breakfast or as all-time snack. With this stainless steel Belgian waffle maker, you can make up to four square Belgian waffles for daily snacks, weekend brunches, or tasty desserts. 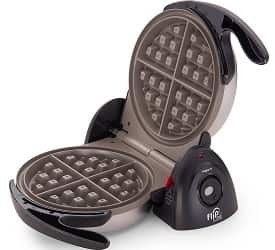 The advanced heating of this waffle maker provides consistent browning and baking and its steam-release system keeps condensation from building up. This way, waffles bake perfectly and crispy outside and fluffy and light inside. 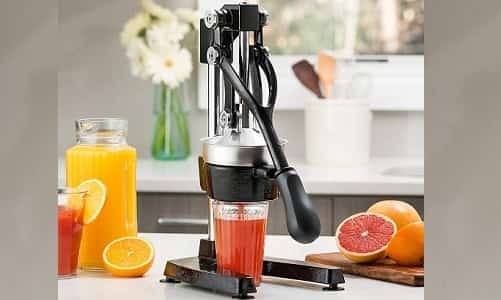 It bakes 4.5 inches wide and 1-inch thick square-shaped waffles with easy to cut sections and deep pockets to capture maple syrup, melted butter, fresh fruits, whipped cream and other toppings you love. 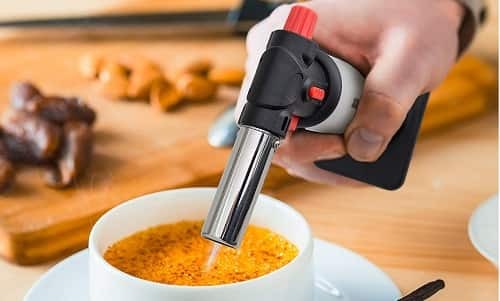 It has red indicator light to notify when it is pre-heating and audible beep to notify when it is ready. Pour in the batter, close lid and turn knob to change temperature settings. Apart from audible beep, the green indicator will notify when waffles are baked. With patented ‘floating’ top-plate and new and modern design, Chef’s Choice M840 is the most cutting-edge waffle maker from the brand. You can prepare the tastiest waffles at home within minutes, with no guesswork needed. It features the Quad baking system to choose the right texture, flavor and color. It has texture select switch to flip and you can choose either deep bake for uniform texture or fast bake for crispy waffles with oven-fresh, soft interior. This heavy-duty, professional waffle maker has ‘baking’ and ‘ready’ lights and ‘waffle ready’ beeper. The temperature recovers quickly for consistent baking. The overflow channel is easy to clean up and it has non-stick deep griddle. It always bakes even thickness of waffles thanks to floating lid. Make delicious and crispy pancakes at home and thick waffles with very convenient and easy to use Cuisinart WAF-300 Belgian Waffle Maker. It is covered with brushed stainless steel to look stunning with your kitchen décor. It has easy to adjust temperature control with audible beep and indicator lights for precise baking. It has removable and dishwasher safe plates for easy cleanup. 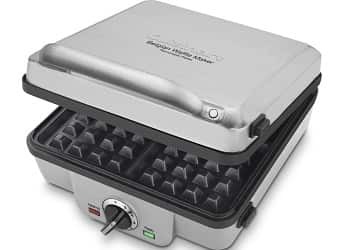 Enjoy the delicious breakfast with Belgian style waffle maker from Hamilton Beach. 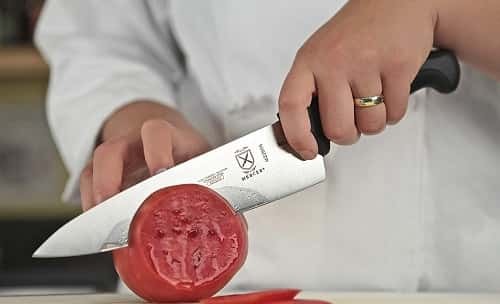 By just twisting a handle, you can get restaurant-worthy results. You can prepare fluffy waffles that are browned well. It has adjustable browning controls to cook waffles well. It has non-stick Belgian style grids for easy release. 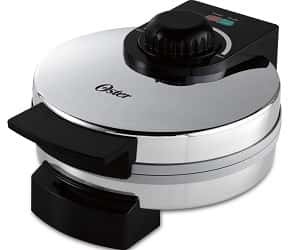 Designed with innovative and unique DuraCeramic non-stick coating, this Oster Titanium Infused Belgian waffle maker has PFOA and PTFE free nonstick ceramic coating which lasts four times longer than traditional coatings and it won’t peel off and flake. 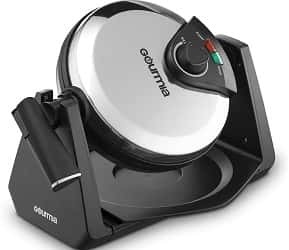 With this Belgian Waffle maker from Gourmia, crispy and tasty waffles are just a flip away. Fill in the batter, choose your settings and flip it when it cooks to bake crispy waffles all the time. It has drip tray, waffle cooking plates, and cool-touch folding handles. Impress your guests and family with delicious Belgian style waffles at home. Type of Waffles: One of the most important consideration while purchasing a waffle maker is the type of waffles that you wish to make. Different types of waffles are made in different manners and the batter used is also slightly different from one another. The waffle maker for the belgian waffles will be different for different types such as American waffle, Brussels waffles, etc. The Quantity of Waffles: Another important and significant factor is the total number of waffles that you wish to make in one single batch. You have both the single as well as the double model waffle maker. As the name suggests, the single waffle maker is the one that shall be used to make waffles that are lower in the total volume. 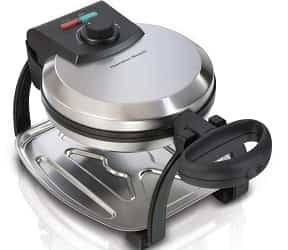 The double model waffle is the type of waffle maker that shall be mostly used in case of waffles that are required in quite a larger quantity. Price: When going for the purchase of anything, the price should be able to give you the maximum possible value. Different brands are today available in the market and each is available with different types of features. Some may be useful to you while others may be just additional for you. Hence, you should be smart enough to understand which is the best for you price wise while also offering the features as required by you. 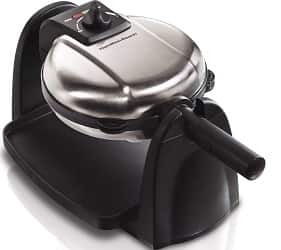 Material of the Waffle Maker: Another important thing to consider is the material with which the grid of the waffle maker is made. The material will also help determine the durability of the waffle maker that you have purchased. The grid of the waffle maker can be made of materials such as aluminium, cast iron, cast steel, amongst a host of others. There are pros and cons of using grids of each of these types. You have to consider all the advantages and disadvantages of using each of these materials and then make a decision. Ease of Cleaning and Handling: It is very important to choose a Belgian waffle maker that can be handled as per your convenience. It should also be easy to clean the waffle maker. Cleaning is very important as if you are unable to clean the Belgian waffle maker adequately and as per the convenience, you shall not be able to use the same for a long time. Thus, ease of handling and taking care of the Belgian waffle maker ia an important consideration that should be kept in mind. Features: There are different types of Belgian waffle makers and each of these have their own characteristics and features. Some additional features include automatic shut off, a timer, amongst various other features. A timer and few of these additional features are particularly important in case you are using a Belgian waffle maker in bakery so that the employees can engage in other tasks as your waffle is being baked. In order to remove the unwanted oil and other crumbs from the waffle maker, you should use a damp cloth. If there are certain crumbs or parts of baking batter left in the waffle maker, you should put some oil in the vessel. After some time, the batter of the waffle will become a little lose and you shall be able to remove it easily with the help of a dry towel. A waffle maker is a perfect staple for your kitchen to make ideal tasty waffles for brunch, breakfast or for any occasion. Waffles come in different forms, shapes and sizes, including the Belgian liege, Italian gofri, and Scandinavian vafler. These waffle makers are built to prepare the most commonly known regular (American) and Belgian waffles.